Influencer Marketing is taking off in a big way. 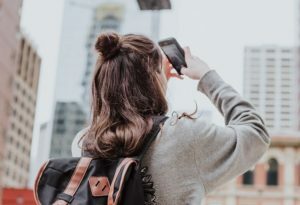 In some instances, companies that engage with influencers get 100x more engagement than they do by just posting regular updates on their own social media pages. But you don’t have to be a large company to take advantage of influencer marketing. In fact, the real opportunity could be with local businesses that engage with local influencers. Those local influencers will have sway with local consumers and they probably won’t cost a ton of money if they cost any money at all. So how do you use these local influencers to grow your business? Probably the best platform is Instagram. It’s more public than Facebook and it’s easier to find people. And you can use hashtags to find people that are talking about your town, city or county. And that’s a great place to start. Look at the hashtag for your city. You’ll find the top 9 posts for that hashtag. Start with those. See who those people are and look at the engagement they’re getting. Dig deeper by connecting with some of your customers. A few probably follow your business account on Instagram. See who your followers are following. Look for recurring profiles. It might be a local TV anchor or a local writer for the alternative paper or even a local musician with a pretty good following. A bit of marketing advice that I’ve always thought made sense was that the best way to spend marketing dollars was to give away your product for free. Say that you have $5,000 to spend on marketing. Instead, give away $5,000 of your product or service. The neat thing here is that you can give away $5,000 at your cost. For a dentist that might be $5,000 worth of whitening services. For a restaurant it’s $5,000 worth of free food. The same for accounting services. The same for hotels. The same for local music venues that hand out tickets. Movie theaters. Retail stores. Put together a package you think is fair for you, but that is also appealing to influencers. The local TV anchor may think that a free meal for themselves is nice, but they’ll really be interested in a free dinner for four or six. Then they can take out their crew or family. Some influencers may ask for money and it might be worth it. The whole idea with this is whether the deal makes sense. An influencer might ask for a few hundred dollars, but if they have influence over 10,000+ locals then it might be well worth it. You can start by reaching out to a single influencer. They may or may not pay attention. I would reach out to many. Five, ten or even 100 influencers. You might be surprised at how may there are. The mom that is the PTA president. The college kid that has 1,000+ followers made up of kids that attend the local university. The local photographer that has half the city following him or her. On Instagram you can direct message folks. This is a good place to start. If you can’t get through to them that way try connecting via the comment sections. Try connecting via LinkedIn or Facebook. A key here is to focus on having lasting relationships with these influencers. You’re not looking to get them to mention you once, get new customers and then move on to the next influencer. The best situations are when you meet the person, talk to them, ask them questions, get to know them and really build a relationship. I’m a big country music fan and in country music the old way to build a career was to go to local radio stations. The new artists would build relationships with the DJs. They would play their songs. They would ask questions. They would write thank you notes. They would call randomly to talk and to ask questions about their lives. This may all be social media, but it’s still real life and real relationships. The situation might work out where you give the influencer a free meal and they talk about it on Instagram. And that might be it. But there are opportunities for deeper relationships. Sometimes a good way to go about it is to be upfront and honest that you’re giving a free meal for their review. They’ll tell their followers that you gave them a free meal. Tell the influencer that you want them to be honest. If they need something like information about your history, service, etc. then provide it all. They might want names or marketing materials. Provide it all for them. They might want access behind the scenes. They might to talk to employees. They might a promotional code so that their followers can get a deal with you when they visit. That’s a big one. This is a big one. When it comes to your business you want control. I get it. I want the same control with my business. But with influencers you don’t want to give them something and then tell them how to showcase it and talk about you. They have followers for a reason. They know how to communicate with their followers. You have to give up that control and let them do what they do. It might be a little weird. It might make you uneasy, but the more you meddle the less the relationship will work in your favor. The final step is to look at this all as an ongoing effort. You’re not just reaching out to 10 influencers, connecting with two and then running two promotions. You want to do this continuously. If you don’t hear back from 90% of the people you reach out to then give it a few months. Learn from your first interactions and redo your pitch and go back to that 90% later. This is one of the big opportunities for local businesses right now. If you’re struggling with traditional advertising or even with social media then put your focus in finding local influencers. The place to connect is on Instagram. Find them. Create an offer that’s too good to refuse and pitch it to them and then let them do their thing.